A contest that will make you #Smile: $1000 and 2000 stars! Upload your best smile photo for your chance to win! 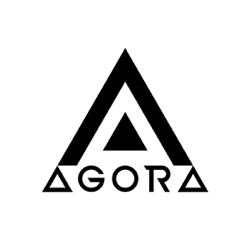 The Hero will be chosen by the judge, the sponsor brand, AGORA’s team and the community’s votes. Finalist will get 5.000 stars Not eligible to enter? - Find contest where you are. COPYRIGHT: You have the image rights of natural elements such as countryside, skies, seas and mountains. The same applies to animals, with the exception of pets. In this case you will need the permission of the pet’s owner. In general, you have the rights to all architectural works, except those with copyright. In the case of art, you can sell images of your own work, but not that of others, unless you have their specific permission to do so. If the images feature people other than yourself, you also require their permission if they can be identified, with the exception of those who are accessory in a photo representing a particular current public incident or event. USAGE RIGHTS: You will require their permission if they can be identified. The exception is in the case of those appearing accidentally in photos which represent a current event or public incident. There are many apps for third persons to sign their consent for the sale of their image, for example Image Release. We advise you to use them. Remember that AGORA images is not a middleman, and as such, you assume the full responsibility for the sale of your images. In the case of minors under the age of 14, the consent of a parent/legal representative/tutor is mandatory. For children over the age of 14, it is usually acceptable to have the consent of the minor in question, as long as no other legislation is infringed (such as the Organic Law 1/1982, approved on 5th May for civil protection with the right to honour personal and family intimacy and image). You can use this Model Release contract.